Wise Consulting’s Payroll Support services include the full-range of payroll management and administrative tasks. We use your UltiPro HCM / WFM system, and you retain your corporate policies. We bring our dedicated team of certified payroll specialists, each with knowledge and expertise, and our payroll best practices. The result is a seamless transition and seasoned payroll professionals in charge. 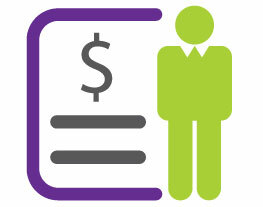 Payroll processing ownership: schedule, garnishments, hires, terminations, mass changes, system maintenance, auditing. Quarterly tax reconciliation smooths the way for accurate and timely year-end processing. Wise’s year-end best practices incorporate advance planning and no surprises. US and Canadian Quarterly and Year End tax audit and reconcilement, SSN verification, agency refunds/discrepancies, tax compliance issue research and resolution, W2 and T4. Wise reviews, recommends and oversees compliant payroll practices. Short-term or long-term, Dayforce trained and payroll certified specialists take over your payroll environment to provide true peace of mind.